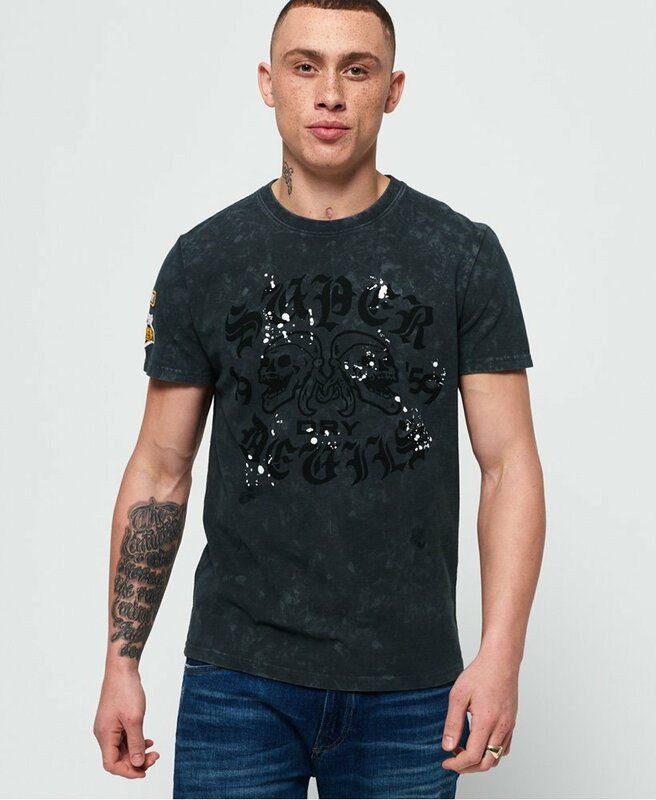 Superdry men's black letter t-shirt. Toughen your look up with this crew neck t-shirt. Featuring large Superdry logo graphics with splatter detailing across the chest and on the back. An all over acid wash effect gives an authentic vintage feel. This tee is completed with applique badges on the sleeve. Style with distressed jeans for a laid-back look.